The YoungOne Meditation Centre started out as a part of the YoungOne Naturopath Clinic, which is operated by Naturopath Young Jeon in Sydney Australia. Young has a strong devotion for treating all types of diseases, especially as he had a particular interest in helping cancer sufferers for well over 20 years, involved in both Conventional treatments and Naturopathic cancer support. In the year 1998, an incident led him to research cancer in a different way. He realized cancer is caused by the distortion of one’s subconscious mind. Therefore, correcting the distortion of the subconscious mind was the key to total freedom from cancer. One of his discoveries was the body is a part of the deepest (or densest energy) subconscious mind. He has spent many years in searching for ways to correct the distortion of the subconscious mind to help cancer sufferers. In the year 2003, he came up with a very strong correction technique which evolved from many of his meditation studies. He called it ‘Mind Cleansing Technique’. Initial trials of this mind cleansing technique with cancer sufferers was so excellent that many became totally free from cancer. He also discovered that applying this mind cleansing technique to many other forms of chronic disease was also highly effective. As all forms of chronic disease are also caused by a distorted subconscious mind that the body expresses as a disease. There was an unexpected discovery bonus in this strong and purest form of mind cleansing technique, it caused the purest form of enlightenment that was the experience of individual consciousness merging into the Collective Consciousness of the Universe. It happened naturally and unexpectedly. Master Young named this experience ‘Crossing the Event Horizon’. This experience was occurred to everyone who practiced this mind cleansing study. Then many beautiful experiences followed for those who entered into heaven every day, such as shifting the centre of consciousness from individual to collective consciousness of the universe which leads to discovery of your true identity. Initially, Young has offered his meditation technique only to his patients for chronic disease cure for many years. But the secret started to leak out to friends and family members of his patients who also wanted to learn his meditation technique. His unique meditation technique eliminated ego emotion very effectively in a short time and leads to enlightenment in about 6 months, not 10-20 years or never. Due to the large number of requests from the general public, Young has decided to offer his meditation technique to the public since January 2009. Since then, there has been an increase in the number of ardent followers of this meditation. The YoungOne meditation Centre has many devoted members who treat this meditation group as part of their family. Our meditation group is structured and fully supported by our devoted members. 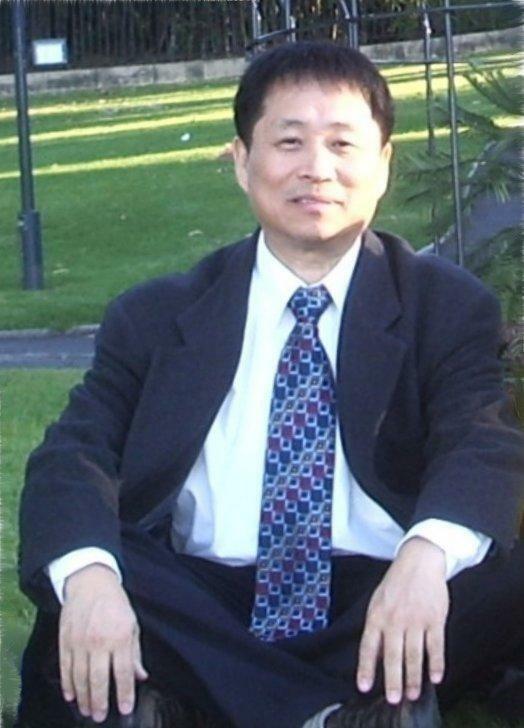 He was born and spent his early years in South Korea, and immigrated to Australia in 1977, and started a new life as a Medical engineer. He has had the life time quest of finding our true identity and reality. His 25 years of devotion to find help for cancer sufferers led him to meditation, he eventually concluded all the diseases are coming from a distorted sub-conscious mind. He discovered the body is only the precise expression of mind (body is a part of sub-conscious mind). With this idea, he was looking for a way to change one's deep personality which can drastically change the expression of the body. He went on to learn many different types of meditation techniques but found too many rituals, misdirected ideas and delusions in them thus obscuring the truth. After more than 10 years of hardship, he made a direct connection with the Universe consciousness and managed to complete a meditation technique to suit our modern lifestyle. His pure, clean, logical and scientific ways of explaining the secret of this world are quite astounding, all of his work and meditation methods are based on logical scientific ground, and it does not conflict with other spiritual teachings or religions. Actually, his teaching will only enhance other teachings or religions if they are not based on delusion. His direct connection with the Universe conscious mind continuously brings the answers and ways to improve the mind cleansing technique for the well-being of humanity, how to achieve and improve the peacefulness and health in the shortest time by going through a dedicated practice. This practice leads to what he calls crossing the Event Horizon, attaining Nirvana State or Enlightenment. What Distinguishes our Meditation from Others? This is the question I get most often from people who are interested in our meditation or want to learn our ways. 1. We distinguish ourselves by the strict recognition of our ego individuality that has full control of our lives. I like to say people are the slaves of their ego individual minds which controlled by emotional energy without knowing. Lives can be a full of pain and suffering and lost direction if individuals allow their ego emotion to run their life. Conventional meditation will try to remedy and console you for what has happened in your life, but our meditation works on changing your life from the core. 2. Our prime goal is to free you from your ego emotion controlling your life by cleansing your sub-conscious mind. Gradually eliminating the source of emotional energy and this mind cleansing process will lead to a permanent change in your life, and then enlightenment. 3. Many meditations do not recognize the existence of this ego individuality that is controlled by the living entity of emotional energy, and especially its importance. They don't know what to do with it, so they mellow it down, console it, make it comfortable or pamper it to behave in a certain way in this delusional world. All of your life issues of sufferings still exist in your mind and have not gone away because you have not changed your sub-conscious mind which is like concrete and hard to move. I do recognize, embrace and accept all practitioners and forms of meditation because they are part of the diverse and beautiful life of God. Glorifying or sanctifying your ego mind that has enslaved by the emotional energy entity is not the way for the permanent peace and health. You must cleanse your ego mind to release you from the ego emotional energy that has captured you and used you for a whole life. Our path does not give you instant relief from the beginning but a guarantee for ultimate change from the very core foundation of your life. Our meditation will release you from the grip of your ego emotional energy and lead you to a very healthy mind and body and enlightenment normally within less than a year. The world we are living in right now is desperately in need of help. Many people are looking for ways to live in peace and harmony, and our meditation can be a way to help the world in urgent need. We have too many Theories of Truth out there already, but what good is it if you cannot change yourself and live according to truth? We bring you the technique, how to change yourself. I encourage you to try to have the experience of freedom from the ego world. It is the world of God in eternity. YoungOne Meditation is part of the YoungOne Naturopath Clinic and is a non profit group.